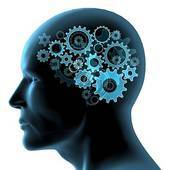 Since search engines index all sorts of pages, finding the pages only with profiles of people is a challenging task. Narrow down the search to a site that has profiles (X-Ray). Add some keywords common to all profiles and rarely found on other pages (often in the titles or URLs of the profiles), and then add other keywords. Sometimes this results in long and awkward search strings, that may bring up some false positives as well. While web pages can have any content, webmasters do have some ways to tell search engines what kinds of objects a web page contains, by adding a special HTML code to the page. In this post, I am not going to dive deep into technical details. I will cover the underlying technology very lightly, explain how to build custom search engines, and share a CSE for Google-Plus Profiles. (Skip the technical parts if you like). 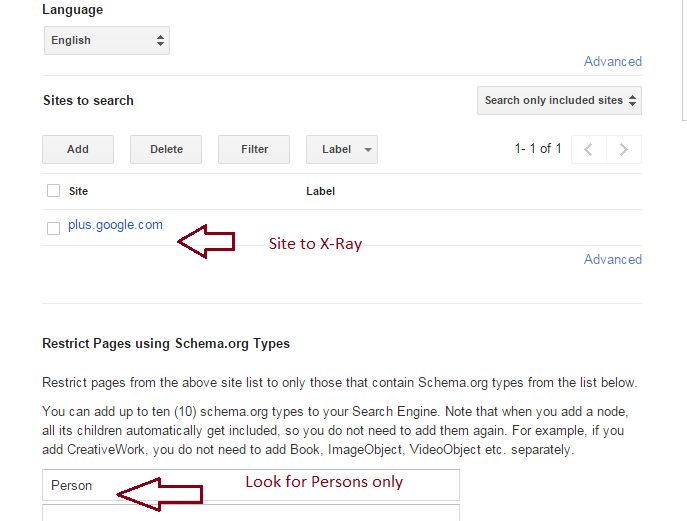 The site schema.org has definitions of many objects that search engines will recognize; a “Person” is one of those types. To point to an object of a particular type, a web page needs to have a piece of HTML, naming that object. As an example, a web page can “tell” the search engines that it has a “Person” object. This schema.org/person code is not visible when we look at the pages. There’s no easy way to search for it using Google or other search engines either. However, Google Custom Search Engines now offer a way to narrow the search down to only pages with a given type of an object. We can take advantage of that. If the site supports the “person” markup – that is all we need to do, to create a custom search engine to look for Persons only! Not surprisingly, Google-Plus does support the markup. I will cover the topic of Sourcing on Google-Plus and other major Social Networks at the upcoming webinar.